From left to right: Dean Hager of Jamf, Martin Lang of SAP, Ryan Kremkau of Capital One, Miles Leacy of Walmart and Jeremy Butcher of Apple. Jamf CEO Dean Hager and corporate vice president of Microsoft, Brad Anderson, discuss the Jamf and Microsoft partnership. From left to right: James Rafel of Geisinger, Christine Edwards of Bungie and Paul Julius of Orthology. Taylor Bell of Maryville University shares how her university rolled out a 1-to-1 iPad program. For the first time ever, members of Apple, Microsoft, Walmart, Capital One and SAP collaborated on stage to talk about, that’s right, the Mac. Once thought of as technology only for creative pros, Mac is now a force to be reckoned with as more organizations discover that offering Macs directly impacts/improves employee retention, satisfaction and productivity. 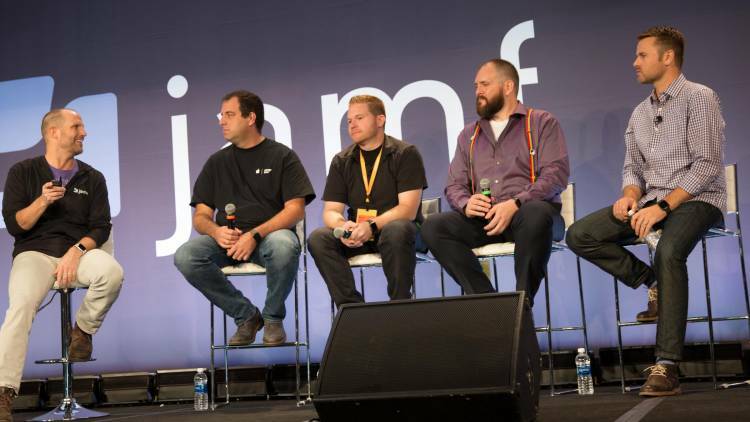 As part of the eighth annual Jamf Nation User Conference (JNUC), Mac — and a handful of major companies that are offering it as a technology option — took center stage during the Driving Industry Transformation with Apple and Jamf Keynote. For those faithful Apple IT admins who have attended JNUC year after year, the thought of a corporate vice president of Microsoft standing next to Jamf CEO Dean Hager at the largest Apple IT event in the world would have never seemed possible. 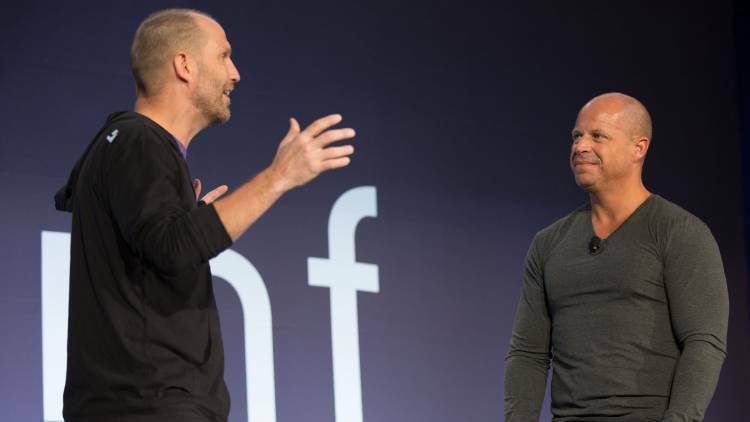 But there he was, Brad Anderson, discussing the partnership that Jamf and Microsoft recently entered, which provides an automated compliance management solution for Mac devices accessing applications set up with Azure AD authentication. This collaboration leverages conditional access to ensure that only trusted users, from compliant devices, using approved apps, are accessing company data. And the irony of his presence and the value of this revolutionary partnership were not lost on Anderson. The role of this partnership is to deliver a secure and modern workplace that is loved by users and trusted by IT. With more data living in the cloud, and less behind a firewall, organizations must move from a perimeter-based security model to an identity-based model. And, Anderson believes this could help alleviate 80 percent of breaches. The last two years at JNUC, one presentation has stood out above all others, including our own opening day Keynotes. That’s the presentation by Fletcher Previn, now the CIO for IBM. Previn famously discussed IBM’s roll out of more than 100,000 Mac computers. That in and of itself is headline worthy, but what created significant buzz is when Previn said each Mac selected over a PC in their choice program made and saved IBM money. So, if Big Blue, the PC giant, can make the decision to offer Mac alongside Windows, would any other industry leaders follow? With 13,000 Macs currently rolled out at SAP, Lang says Mac users are different than typical PC users in the fact that when an operating system comes out, they want to use the new features immediately. “And we must accommodate that demand,” he said. Ninety-seven percent of Mac users at SAP are on an operating system that is less than 13 months old. Kremkau of Capital One echoed Lang’s sentiments on Mac choice programs and added that adopting choice has elevated the expectations across IT in general. Capital One has 12,000 Macs deployed in its choice program, and Kremkau said the number one Mac myth he’d like to dispel is “The cost thing when it comes to a choice program.” When it comes to total cost, Mac is less expensive. According to Leacy, when IBM and Previn brought their JNUC presentation to the world, executives started to realize that “what these nerds were saying” was actually true. He added that it’s hard to argue with the facts. “Walmart’s motto is ‘Everyday Low Cost’ so we looked at TCO [total cost of ownership] for our technology. The cost of deploying and securing [Mac] at this point is a lot cheaper than supporting a Windows box — it just makes good business sense.” One of the stats cited to support this was that 60 percent of help calls IT receives are from Windows users, versus 40 percent, which are from those with a Mac. Enterprise organizations aren’t the only ones seeing the benefits of Apple. At JNUC 2016, UCSD Jacobs Medical Center unveiled a first-of-its-kind iPad implementation. This included having an iPad and Apple TV in each of the hospital’s 245 patient rooms. Using the iPad devices, patients could access their medical records, contact their nurse, play games, watch movies and stay connected to family through social apps. Others have followed in UCSD’s footsteps, leveraging technology to implement patient bedside programs and improve the overall healthcare experience. One of which is Geisinger Health Systems. James Rafel of Geisinger was on hand to discuss their patient bedside initiative, which provides 357 iPads throughout 24 departments across six of the system’s facilities. “We wanted to provide a better overall experience for our patients and Apple technology was one of the best ways to do that,” said Rafel. To make this vision a reality and get more patients more involved in their care, Geisinger offers over 100 apps for patient use on their iPads. Patients simply open Self Service to find the resources they need and want. In 2010, Bungie, the creators of popular video games, formed the Bungie Foundation, which focuses on helping reduce distress and suffering in children through entertainment. Senior Foundation Manager Christine Edwards said Bungie approached Seattle Children’s Hospital and subsequently started the iPads for Kids program. “We had a desire to do something more for our community. And, we really wanted to focus on children,” Edwards said. 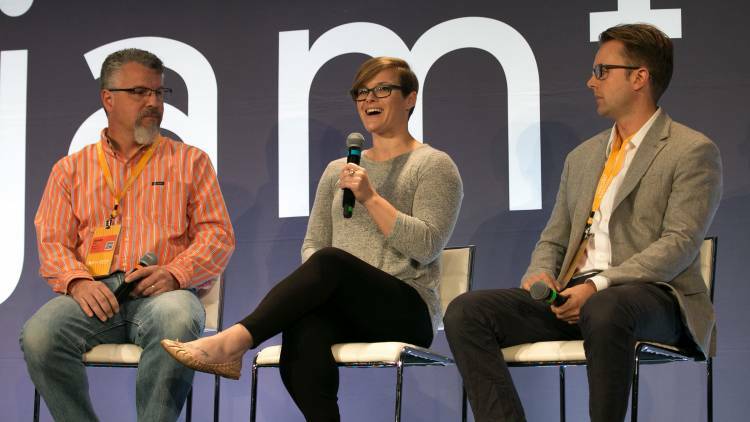 “We looked at a lot of MDM solutions, and then we called Apple, and they said, ‘have you looked at Jamf?’” By automating wiping and re-enrolling iPads with Jamf Pro, and leveraging Single App Mode, Bungie is able to scale their program with a simple workflow. Child selects their age range using a custom app (profiles are created with Jamf Pro that coordinate with the patient’s age). Age-appropriate content is downloaded to the device. Patient is discharged and the iPad is automatically wiped and reset. Since kicking off iPads for Kids at Seattle Children’s, Bungie estimates they’ve helped more than 123,000 kids. “And we expect to be in eight more hospitals next year, which will help an additional 126,000-plus kids,” says Edwards. Orthology offers physical therapy, sports medicine and chiropractic services to its patients, and they use Apple technology to try and make this a pain-free process. But, this wasn’t always the case for their small “IT” team who was attempting to manage nearly 200 devices across 14 clinics. This all changed when Orthology chose Jamf Now, an affordable, intuitive management platform that gave them almost instant HIPAA compliance. Among the big names on stage and truly remarkable healthcare stories shared, the partnership between eSpark and Jamf was not to be missed. This partnership means that by enrolling iPad devices with Jamf Pro, quality educational apps curated by eSpark are automatically distributed without teacher or IT interaction to individual students based on assessment data. Students then progress through content and master concepts at a pace that is right for them. Kathryn Francis, principal of Orchard STEM School in Cleveland, OH, offered insight as to what an eSpark and Jamf collaboration looks like. “We had to find a way to save teachers time, reduce the complexity that was involved with identifying appropriate content and apps, and get them to the right devices,” Francis said. “Jamf and eSpark help us do that.” As a result, Orchad STEM School has seen a two letter grade improvement in K-3 early literacy on the state report card after implementing Apple, eSpark and Jamf. Ashley Heagy, director of technology at Pequea Valley School District in Kinzers, PA, also leverages iPad, Jamf and eSpark to enhance and personalize learning. Pequea Valley School District is seeing tremendous return on their technology initiatives as well. Their Pennsylvania System of Schools Assessment (PSSA) scores went from 63 percent to 81 percent in math and 45 percent to 75 percent in reading — in only seven years. While not leveraging eSpark, Maryville University in St. Louis, MO is finding ways to customize the learning experience for its students as well. 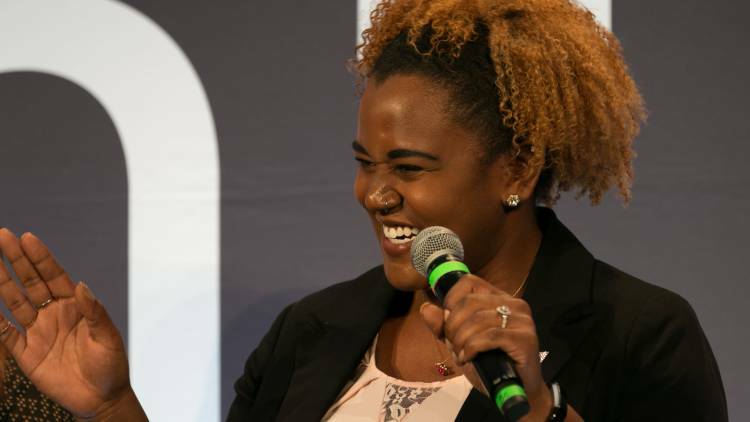 “The university president believes that everything in the classroom should be easy, because everything outside the classroom is pretty challenging,” said Taylor Bell of Maryville University. That’s why Maryville rolled out a 1-to-1 iPad program. In the past, students would show up with different types of devices and Maryville wanted to level the playing field for all by offering a consistent technology experience across the board. With 3,605 devices enrolled in Jamf Pro, and 2,288 classes living in Apple School Manager — yes, it’s not only for K-12 environments — Maryville is offering its students and professors a holistic learning experience. To aid teachers in their shift from traditional to more modern, technology-based instructions, Maryville offers rigorous professional development in either small groups or 1-on-1 settings. Where will Apple strike next? Only time will tell who will benefit next from implementing Apple — and the standard in Apple device management. But one thing’s crystal clear, the blueprint has been laid by enterprise giants and forward-thinking healthcare and education institutions on how to succeed with and get the most out of technology investments. To take a deeper dive into offering choice programs, enhancing healthcare with technology, or leveraging Apple’s education capabilities, read the below assets.